Do you wish to give your house a comprehensive makeover both in the interior and exterior part? Choose the most affordable flooring store in Perth, Wattle Flooring for fantastic flooring and lawn solutions. As you surf our product range, you will find a wide range of collection in the fake grass or synthetic turf for your house that was known to be used in the field previously. Our team of installers are trained and experienced dealing with any of the challenges that pop up in their way. We are committed to providing outstanding customer services by providing high-quality flooring products in the industry best prices. Let’s look into our product collection and choose the ones suitable for remodelling your house. Our Product Range: •Artificial Lawn •Artificial grass •Synthetic Lawn •Timber Flooring •Laminate Flooring •Bamboo Flooring •Vinyl flooring Why Choose Us •No Middleman involvement in the selling and buying process as you get the flooring right from the factory. •We offer flooring solution at the guaranteed lowest prices •We offer a wide range of flooring styles and synthetic lawn options to choose from •We are in the business from 2014 and have refurbished a lot of places with our products around Perth and its suburbs •We stick to the environmental commitment and provide products that are not being made harming the nature Be it the question of style variety or colours or designs; Wattle Flooring makes is always there to offer you products that will suit your demand and expectations. 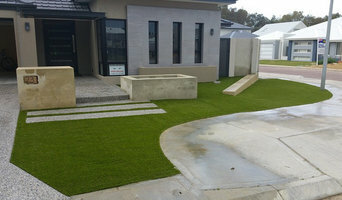 Rod’s Artificial Grass Supplies is a family and locally owned business located in the northern suburbs of Perth. We service not only suburbs North of the river, but also anywhere to the South of the river area. We provide personal and efficient services at a lower and affordable price, allowing you to save more money than other services on the market. 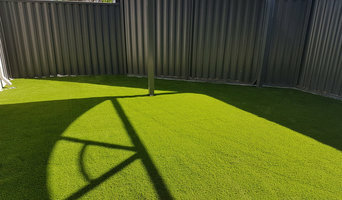 Rod’s Artificial Grass Supplies offer a range of grass solutions for your needs which enables you to have more free time as you are not looking after your backyard, cleaning or maintaining your lawns. 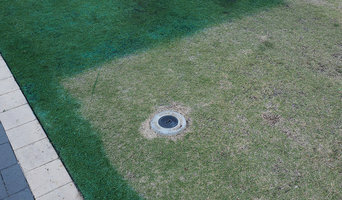 Instant Green Grass are Perth's grass painting specialist. Our paint was specially developed to protect your grass and help it recover while also providing a rich deep colour. With a UV filter, the paint provides ongoing against the harsh WA sun for up to 3 months. The technology has been in use on golf courses for years and we are bringing it to the domestic setting. The paint is environmentally safe, and will cause no harm to pets or children. We can provide a complete reticulation and irrigation solution, tailored to your needs. With years of experience in delivering reliable, professional and affordable services, Perth Reticulation Experts are the best choice for your garden. We specialise in durable, water-wise and low-maintenance reticulation systems. Whether you need a new reticulation system or repairs and replacements for controllers, solenoids, pipes and sprinklers, you can rely on us to deliver high quality services every time - so call us today! All Round Reticulation provides home & commercial reticulation (retic) installation and repair services in Perth WA at competitive prices. Call us at 0498 573 429. We provide comprehensive lawn mowing, gardening solutions in the Perth area. From a simple mow to reticulation repairs, we offer landscaping that's done right! We offer the best lawn care and gardening at prices that are very competitive. Our staff brings extensive knowledge, skills, and experience to help provide exceptional service to our customers. We are dedicated to providing a professional lawn care, mowing and landscape service available. We continue to build a solid reputation for dependable high quality professional work. We are fully insured, so you can feel comfortable about our high quality workers visiting your home or commercial property. We are a locally owned and operated lawn mowing and gardening business that also supports other local businesses in the area. Every dollar you spend with us stays in Western Australia. Feel free to contact us at any time for a obligation free quote or use this form. What does a lawn and sprinkler contractor in Attadale, Western Australia do? 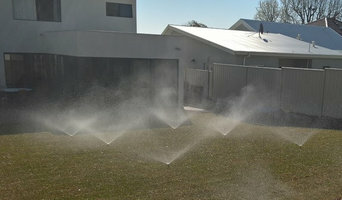 Find a lawn and sprinkler contractor in Attadale, Western Australia on Houzz. Scroll through this page to find professionals in your area that can supply and install turf and artificial grass; set up sprinkler and irrigation systems; as well as provide general lawn maintenance services. You can browse their portfolios, read reviews and see how other homeowners rate their service, expertise and products.